And now, here it is – the very first garment in that series! 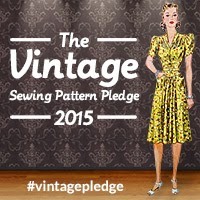 I’m going to break this into two posts – one on the pattern and garment, and the other on the machine. Today, we’re having a look at the pattern and garment. Like all 1970’s patterns that I’ve worked with before, this one was a breeze. Clear pattern markings, the instructions were fine, and the sizing was pretty accurate. Not a lot to say about it, really! I used an invisible zip for the centre front (the instructions have you choose between either a dress zip or an invisible zip). Which, due to the fabric qualities, didn’t end up quite as invisible as it should have, sadly…. So yes, this fabric was one of those purchases. Spotted in the pile next to the counter, waiting to be put back on the shelf. It had origami swans on it. I was annoyed. So I bought it. Which I really shouldn’t have done, as it’s a terrible poor quality polyester that only cost $4/m (which in NZ is Very Cheap Fabric when full price) and there are already fade lines from creases on it even though it’s only been worn once. But – origami swans! It’ll be a short-lived dress (environmental guilt) but it’ll be a fun one while it lasts. The orange on the other hand is just a nice, lightweight cotton poplin. Bought to contrast with the swans once I had paired fabric with pattern. 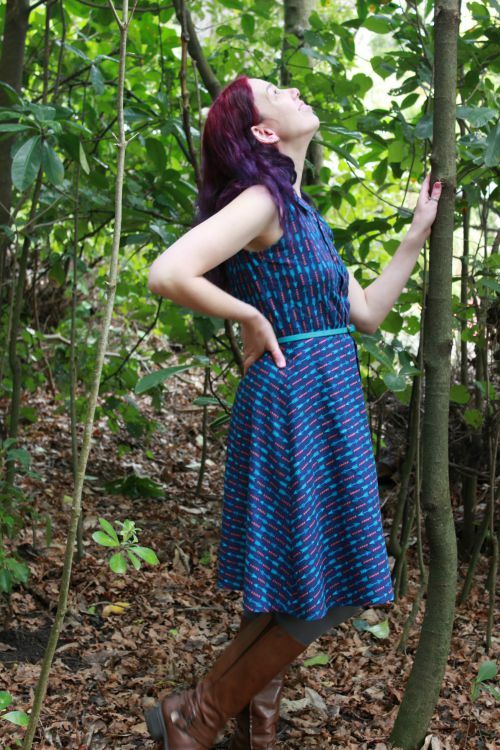 You may notice one key difference between my dress and the pattern. The collar. My one is about 1/3rd the size of the one on the pattern. 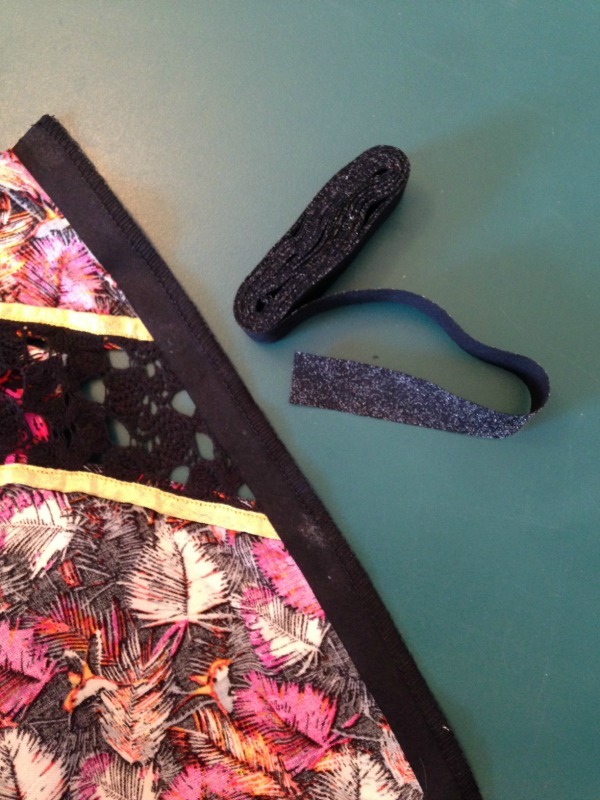 I did start off with the one on the pattern – that didn’t really go so well…..
See? Yeah. Just a bit too much orange going on there! And I had no more of the swans fabric. So, turning to some sewing buddies for help, I went with their idea of cutting it down to about 1/3rd of the original width. Which I reckon works a lot better. 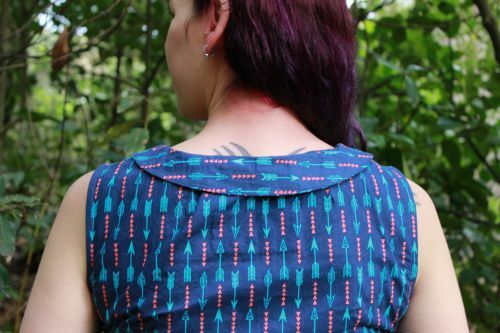 Not a lot to say about this pattern really – the neckline and armholes are finished with facings. Everything went together smoothly. The armholes are a bit too constricting on me so I’m going to go and make them a little bit deeper at some point. Stay tuned for more about that Lotus. It’s a beauty, and deserves a post all to itself. 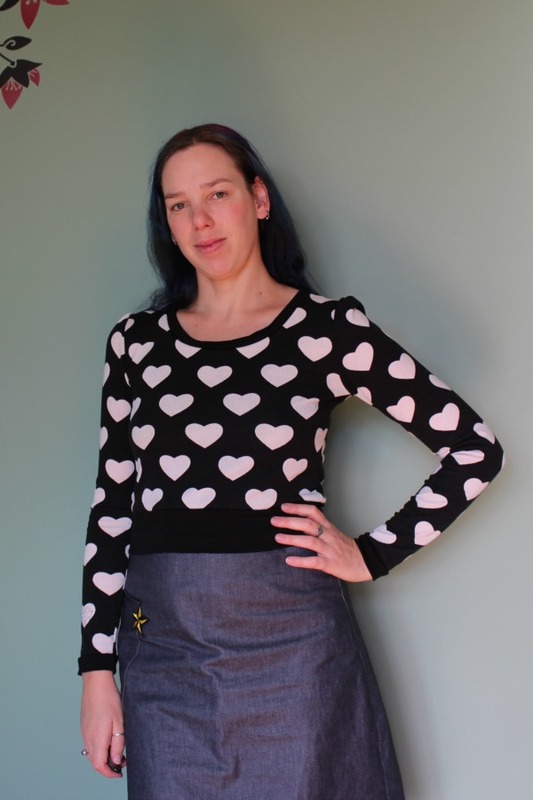 And one other thing – although I enjoyed making this pattern, and love the final garment, it’s not one I see myself making again. (Too many patterns, not enough time!). So, here’s a little giveaway to find it a new and loving home! 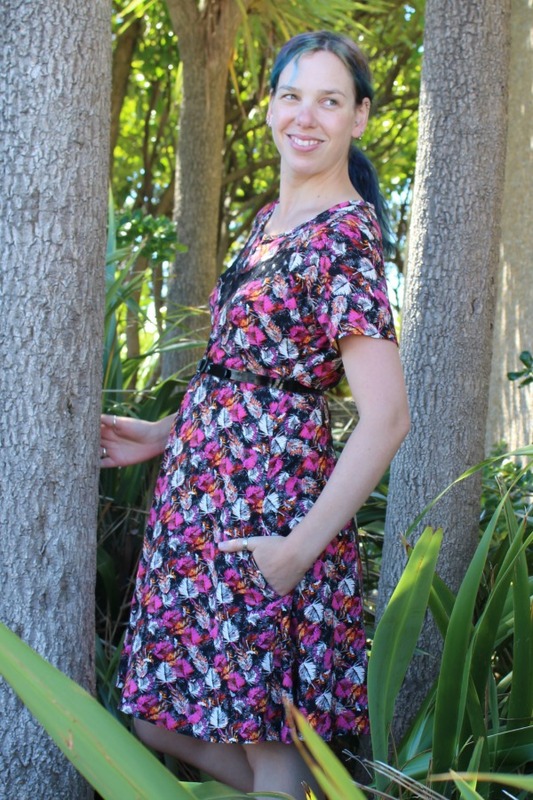 If you’d like to go into the draw to win my copy of Butterick 6617, let me know in the comments (please make sure I have an easy way to contact you if you win!) and I’ll draw a winner on Friday 18 March. 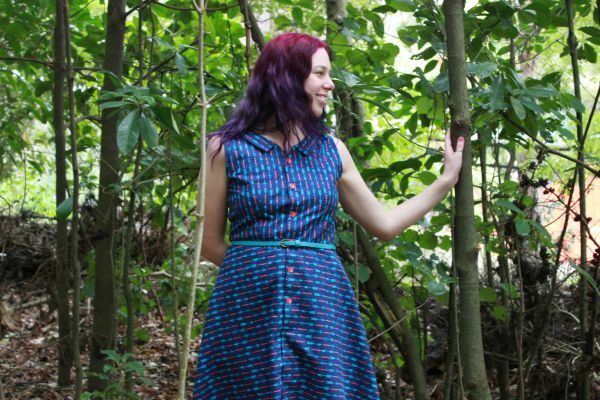 The pattern is a size 14 – bust size 36″, waist 27″, hip 38″. 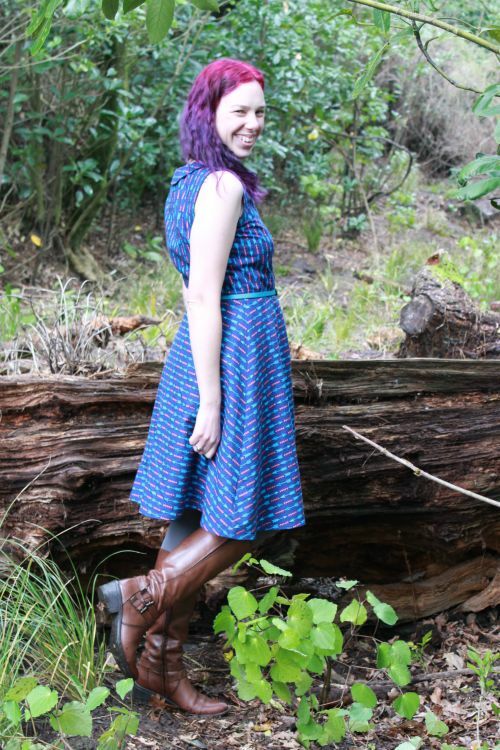 For the PDF pattern swap, I got sent the Darling Ranges dress pattern from Megan Neilsen. 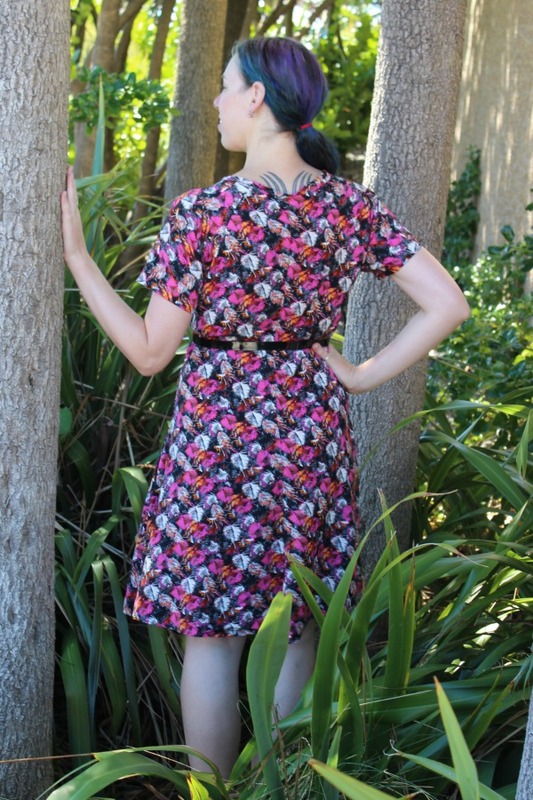 The Darling Ranges pattern is described as a “modern shirt dress” – it as a deep v neck, no collar, and two key variatons – a button-bodice, high waisted dress with a gathered skirt; or a dartless dress that buttons the whole way down the front. Even though a dartless (aka shapeless!) 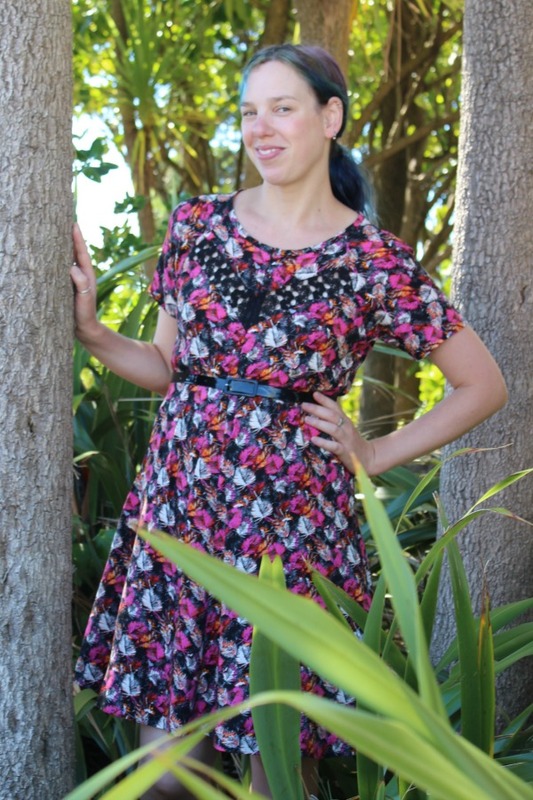 dress really isn’t my usual style, I found that I couldn’t get the idea of matching that variation with the mustard coloured Mustangs print fabric from Cotton + Steel that I bought off Fabric.com (my first ever Fabric.com order – that site is very very dangerous!!). 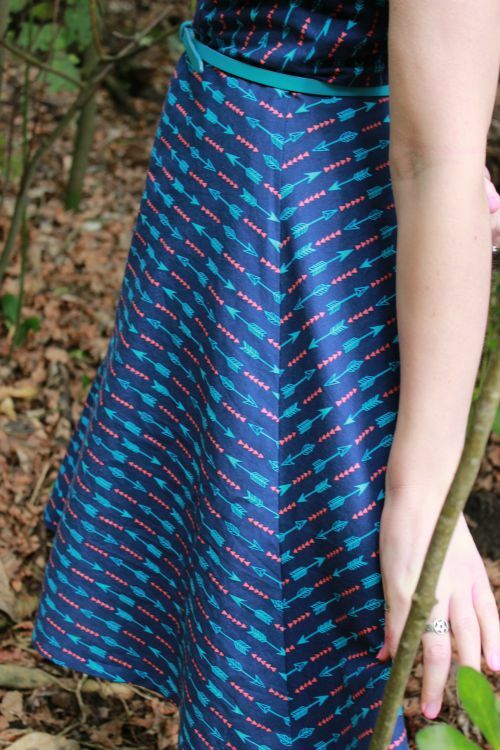 The simple lines of the dress seemed like a great way to show off the bold fabric print. So, I went ahead and gave it a go! The construction of the dress was pretty straightforward – after all, it’s a pretty simple style! There are inseam pockets at the side seams, the button placket is cut on and simply folded over twice to the inside for a neat finish, and the v neckline has a self-bias facing. 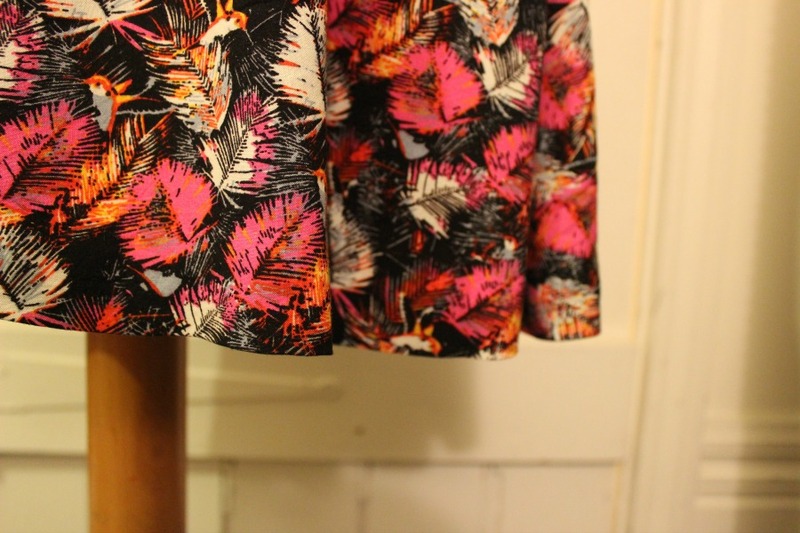 I finished the sleeve and skirt hems with Hug Snug seam binding, using a standard straight stitch on the sleeves and a machine blind hem stitch on the skirt. I must admit to finding the final dress a bit odd. If worn without a belt, it looks like a hideous sack on me (not surprising because, hips). And I’m really annoyed with myself about the pulling in the upper bodice due to the shoulders being too narrow. It’s not my usual style, and the pockets don’t sit very well (I think due to the oddly angled side seams?). And yet…. I wear it about once a week. It’s in constant rotation in my wardrobe, and has been ever since I finished it. It’s easy to put on, and I am totally in love with the fabric. So, style-wise it’s not a win, but wearable-wise, it totally is. Go figure. Either way, it’s going to continue getting worn, all year ’round! Sometimes it seems like all the stars align and a project suddenly happens that ticks several boxes at once. My good sewing buddy Mel and I were thinking – it’s about time we did another twinsies creation, where we both make the same pattern at the same time. Plus, it’s the second birthday for The Monthly Stitch in August, with the theme being “two is the magic number” – a perfect time for twinsies! And then we got to thinking, how else can we incorporate that theme….? Discussions were had around fabric, and we realised we both had fabric from the What A Gem range by Camelot in our stashes. Mel has the “gems” design, and I’ve got the “arrows” one. Two designs from the same range – seemed perfect! So then we just had to come up with a pattern that worked for each, and for the amounts of fabric we had…. Plus, with the cute collar, there was the option of using two different fabrics on our dresses (again, using the “two is the magic number” theme). So yep, all boxes were ticked – twinsies in the pattern, twinsies in the fabric range, an indie pattern, and in my case also a pattern swap pattern. Win! One other box, too – this is also my Minerva Crafts Bloggers Network make for the month. Yippie! Crazily enough, despite owning a couple of Colette patterns, this is the first one I’ve ever made (excluding their two free ones, neither of which worked well for me). I approached it with some trepediation – I’ve heard quite a bit about how hard this pattern is to fit, and Colette also drafts for a C cup while I’m an AA (yes, seriously). With that in mind, I took the time to do a proper small bust adjustment (SBA) on the pattern, reducing it by a total of 2″ in the bust. I had a lot of fun playing with the print direction for this one. I started with the bodice placement, deciding that vertical arrows would work best there, especially with the waist dart. 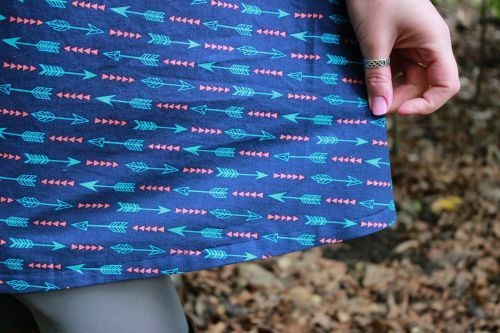 The skirt was origianally going to be on angles, with the arrows forming v’s at each centre and side seam. But there just wasn’t enough fabric for that, so it got cut out with horizontal arrows that dipped into v’s at the side seams. 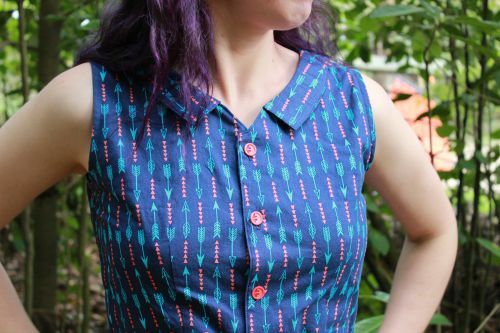 The collar was a bit more fun, with arrows going around the neckline. Speaking of the facings, they’re finished with hug snug seam binding – I may have given into temptation and gotten some in a lovely bottle green shade. Love this stuff so much!! 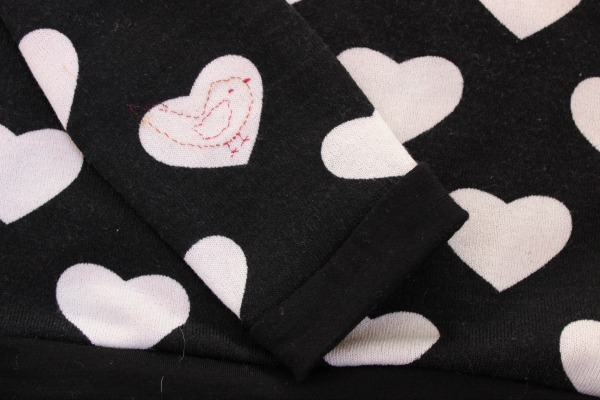 Hug snug was also used for the hem, which was then stitched up with a machine blind hem. The armholes are finished with green bias binding. Also, can I get a yay for these buttons? Aren’t they fabulous?!? I’m so happy to have found them on the Minerva site! They’re such a lovely shade, and match the coral coloured triangles in the fabric so nicely. Plus, the lines on half of them reflect the lines of the arrows. Yippie! One thing I found surprising – the front waist seam is a bit too low on me, about 1.5cm too low, even with the small bust adjustment raising it up a bit. Since I’m so tall, I’m used to waist seams being a bit too high, so this was quite a surprise! Probably something to watch out for if you make the pattern up, and an adjustment I’ll make in the future. Thanks to the lovely Nicola, who played photographer on a freezing cold winters day! 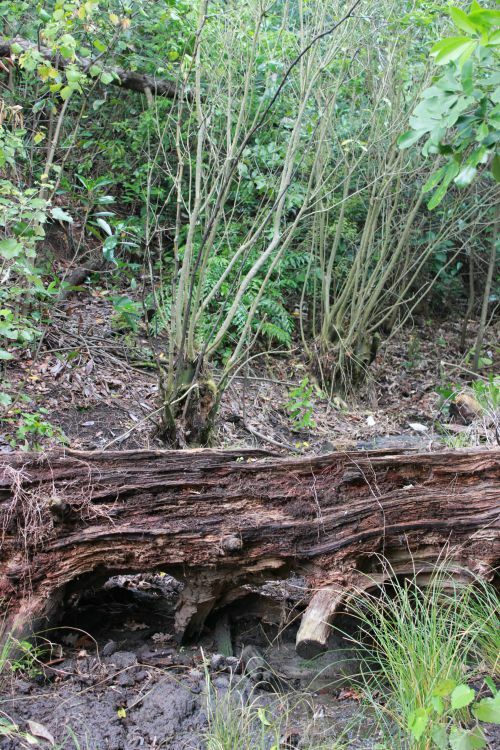 We went exploring, and found a muddy stream bed with a fallen log for photos. 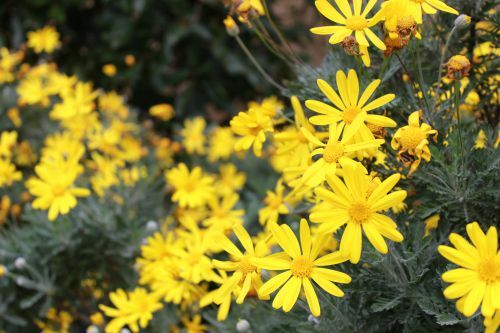 Here’s some scenery, just for fun…. 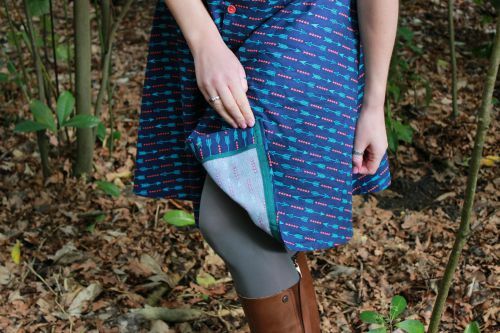 Do you ever have those days when you suddenly want to make something that isn’t in your sewing queue at all? Sure, you may have a few things cut out, possibly even in the process of being made up, but then a completely different project jumps up and down, demanding to be made Right That Minute!! Yes, that’s right. I cheated on my sewing queue. Whoops! But I got a cute top out of it, that I’ve already worn several times. And it had kinda been in my mental things-I-want-to-sew queue for a while, so that counts, right?! A while back, The Curious Kiwi showed me some fabric she’d just bought. 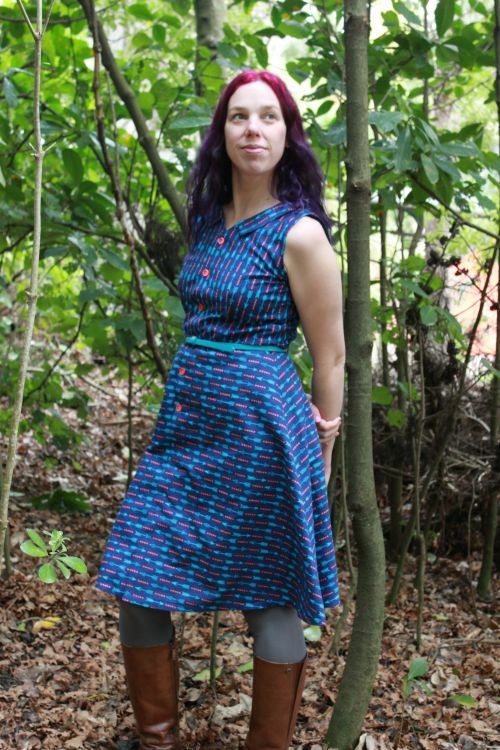 A cute poly blend knit from The Fabric Warehouse. And I may have loved it so much I had to go and buy some that same day. With the weather getting colder, a sudden realisation that the knits contest at Bluegingerdoll was nearly finished, and a sudden desire to make something quick and easy, the planets aligned and this got made. The Bonnie pattern came together super easily. 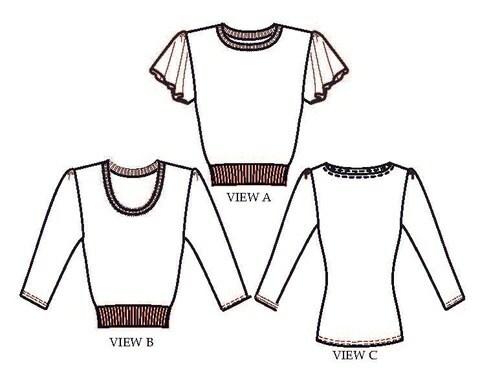 It’s a simple and cute sweater with options for waist or hip length, three sleeves (flutter sleeves, or a sleeve with a gathered sleeve cap in either 3/4 or long), and three necklines (scooped, classic, or boatneck). I went for the waist length, long sleeved version with the scooped neck. Just for the fun of it, I wanted to do something to highlight one of the hearts. I was throwing around a few ideas, such as stitching around the outside of one, when I remembered that this month’s theme over on The Monthly Stitch is “Put a Bird on it”. So, I did! 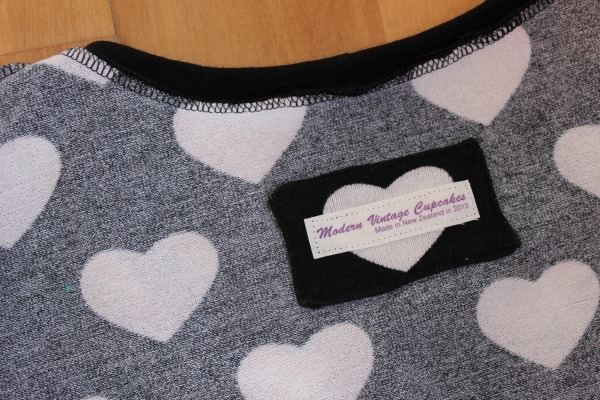 When it came time to sew on the label, I carefully matched the heart on the label to the one on the centre back of the top directly underneath it. Hearts all in a row! Overall, I’m really happy with this. 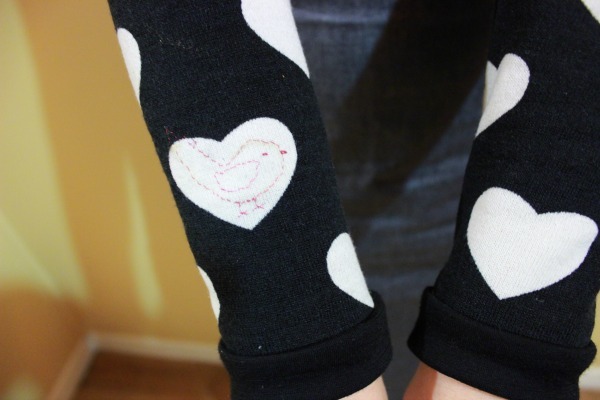 It’s cute, fun to wear, and quick and easy to make. 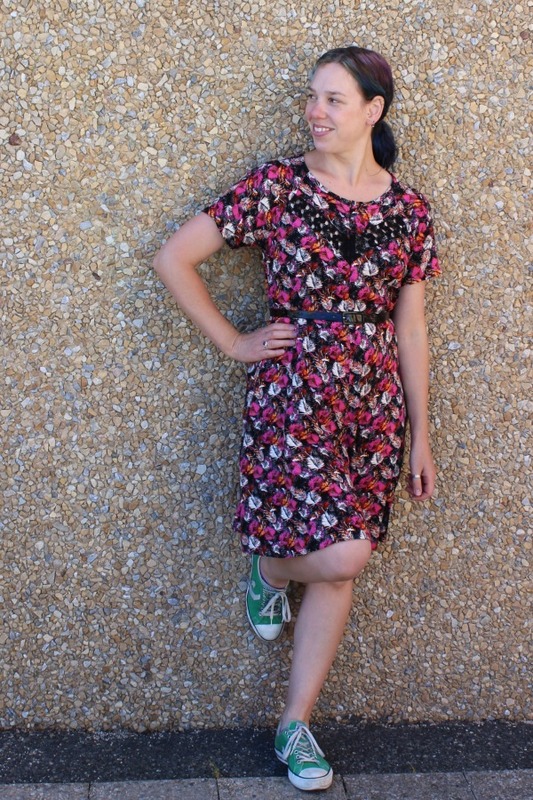 Now here’s a pattern I’ve been meaning to make ever since it was released – the Clover dress by Papercut! With its loose fit and pull-over style (you wear it cinched in with a belt) it seemed like a perfect dress to make for those months after pregnancy, while one’s body is still going back to it’s “usual” size. Plus, a centre front seam makes it ideal for wearing while nursing – simply add one invisible zip and you’re good to go! 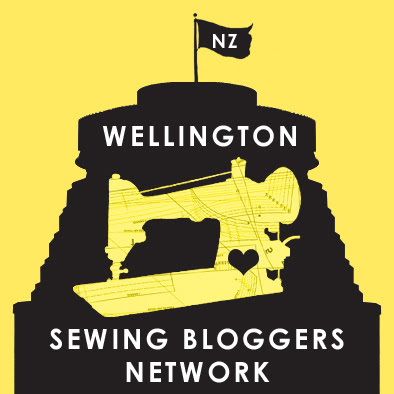 When I joined the Minerva Crafts Bloggers Network (yay!) and got to choose my first three projects (double yay! 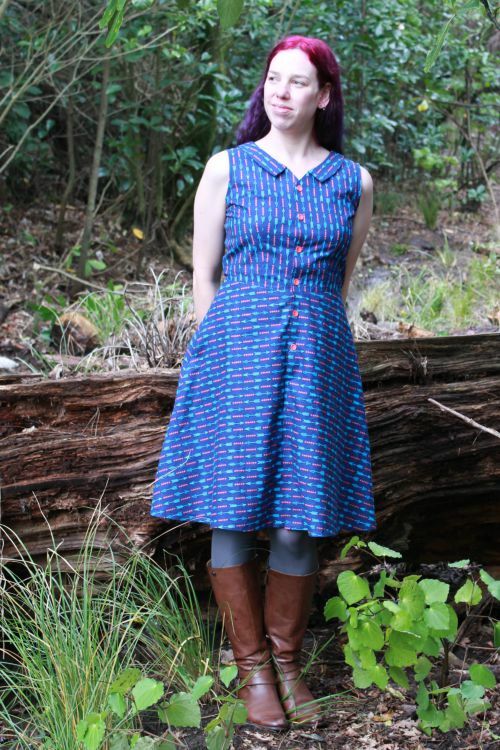 and a super fun way to lose a few hours), it seemed like a good time to make up the Clover dress. 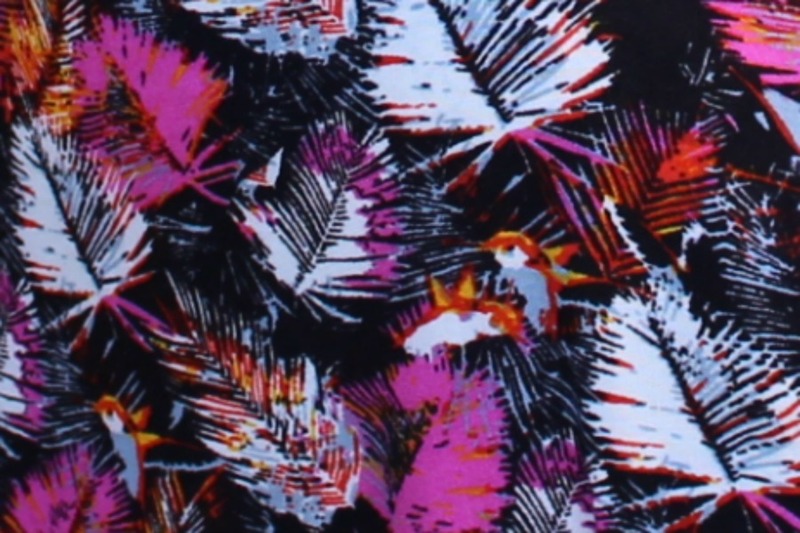 I found this gorgeous feathers print rayon, and once I’d decided between the red and the pink colourways, spent some time debating what to use for the contrast v-inset on the bodice. Since the base of the feathers rayon is black, and it’s quite a busy print, I thought I’d match it with a black lace with a larger scale design. And I found this one – a crochet look rayon lace. Perfect! Crazy though it may sound, even though I’ve been sewing “properly” for over 17 years (I’m not counting those making-scrunchies-as-a-child or home-ec-classes-at-school years), I’ve never sewn with rayon. 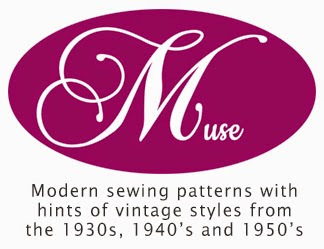 Most of my sewing is cotton or wool, or knits that ideally have a large portion of one or the other of those fibres. 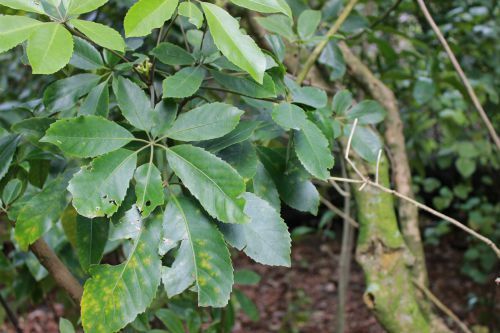 Time to branch out, don’t you think?! I was pleasantly surprised at how much I enjoyed working with rayon. 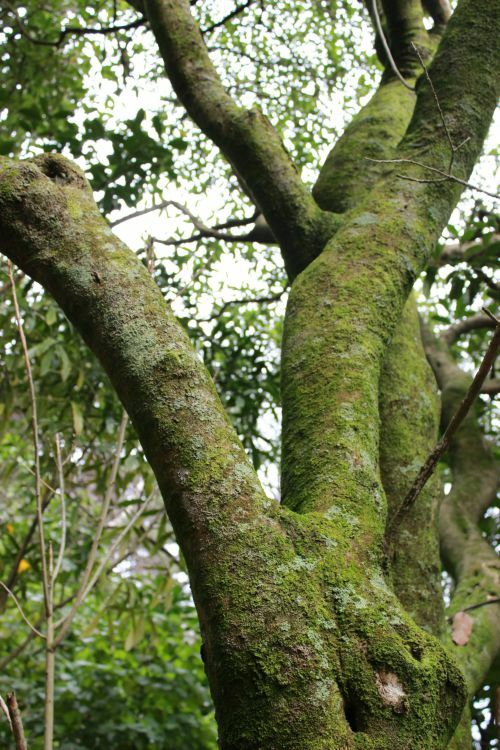 It’s lovely and soft to handle, doesn’t shift around too much (or this one didn’t, anyway – I’ve heard some rayons do? ), and presses like a dream. I’m now a rayon convert! 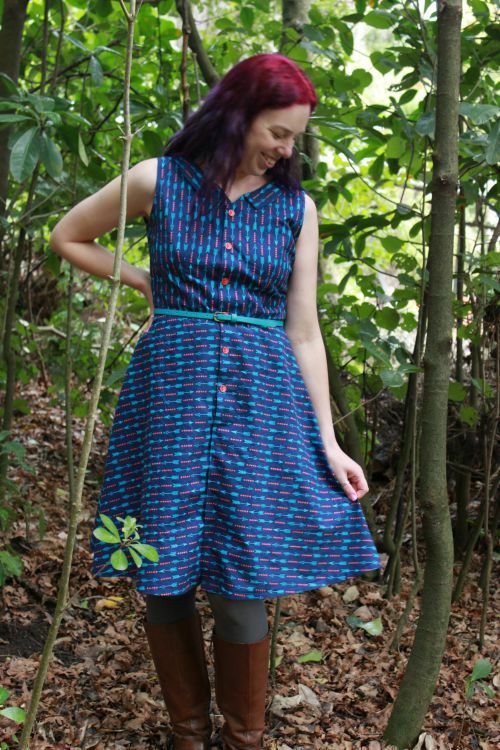 The Clover pattern was nice and fun to sew, and the contrast inset gives lots of opportunity for fun ways to use scraps or pretty bits of fabric. 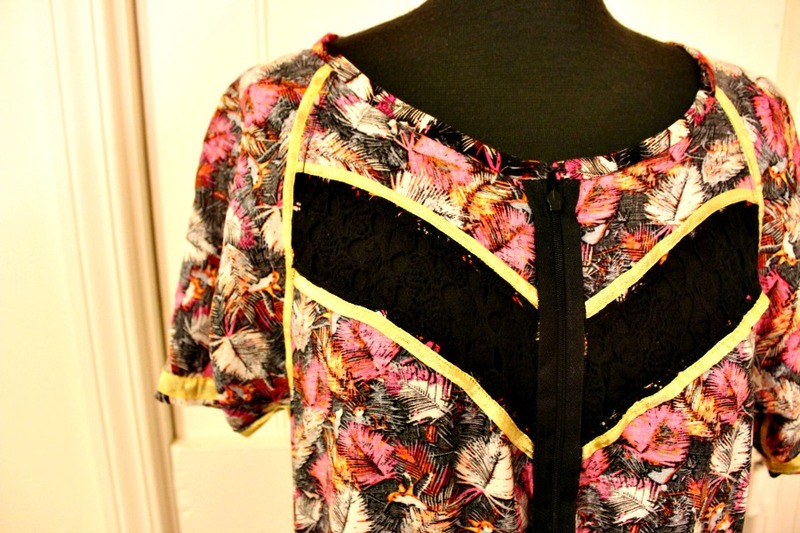 The only thing I’d watch for is what you use for the contrast inset – it sits on the upper curve of my bust, so I’m going to have to be careful about what bra I wear with it as the top half an inch or so shows through the lace. I did, of course, make a couple of changes to it though. (Because that’s how I roll, oh yeah.) First up, the length. I’m tall, the pattern is short. So I added 12cm to get it hitting just above my knees. 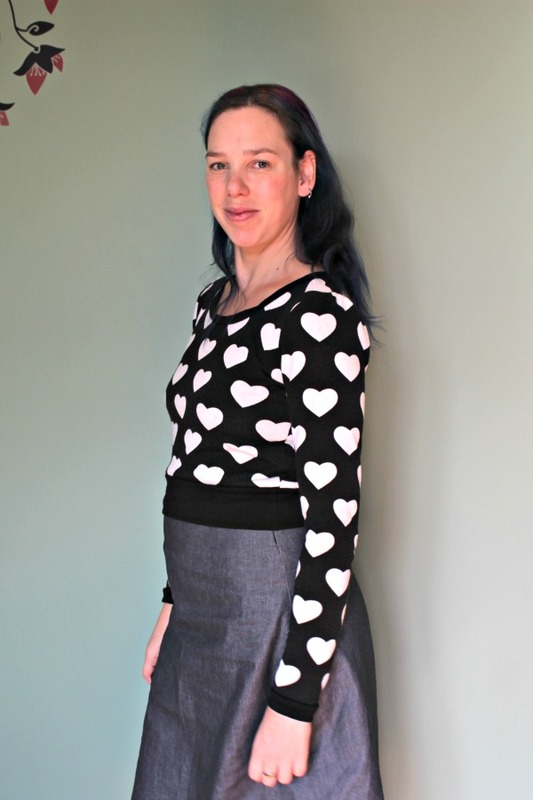 Higher than my usual hem length, but I discovered that with the raglan sleeves and the higher scoop neckline it starts to look a bit frumpy when hitting below the knee (I originally added 20cm in length). 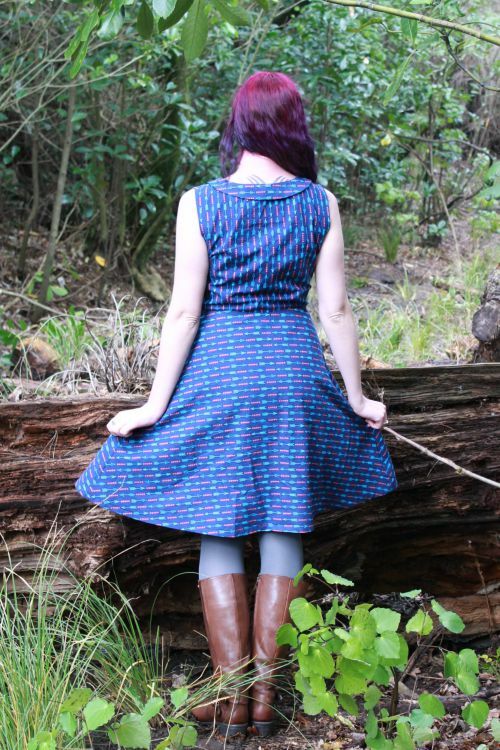 So, above the knee it is for this pattern on me! I also added pockets, because, well, pockets. They may look pretty low, but they’re the perfect height for me to still be able to get my hands into when carrying the Smallest Guy around in the front pack. For the pockets, I just drew a basic pocket shape around my hand (to make sure it was big enough!) and sewed them into the side seams. Easy! 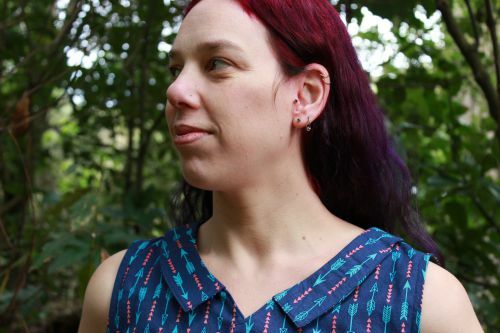 And that aforementioned nursing-friendly pattern hack – the addition of an invisible zip in the centre front seam at the neckline. Along with a hook and eye to close the binding above it. I applied some vintage iron-on hem binding to the seam first along where the zipper was going to go, to stabilise it on the drapy rayon, which worked really well. Now, this actually took me blinkin’ ages to make. I decided that this would be the perfect time to try out a new-to-me technique, and also get in some hand-sewing practice. (Much as I hate hand sewing, I’m determined to get better/faster at it this year!) 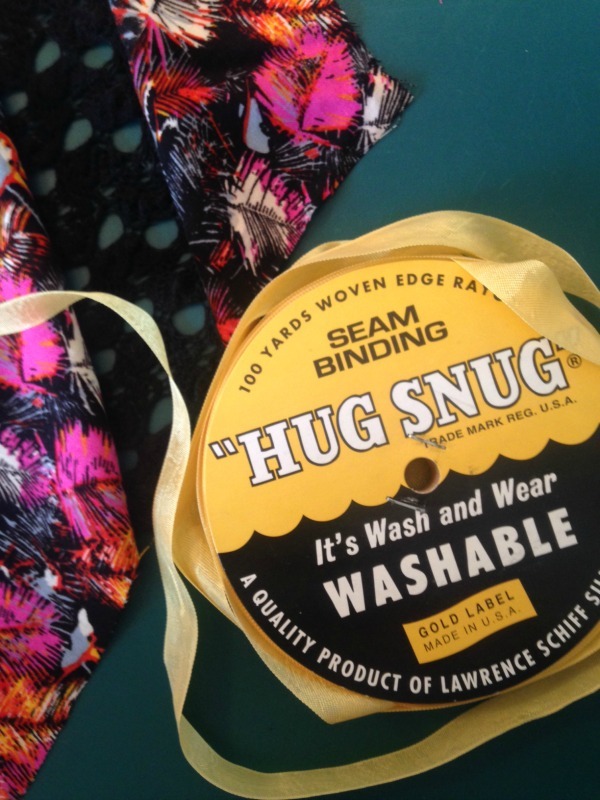 After reading about it on Lilacs and Lace, curiousity got the better of me and I bought some Hug Snug seam binding. And oh my gosh this stuff is awesome! I think this is the start of a long-term love affair with this seam finish. Check it out – bound seams! 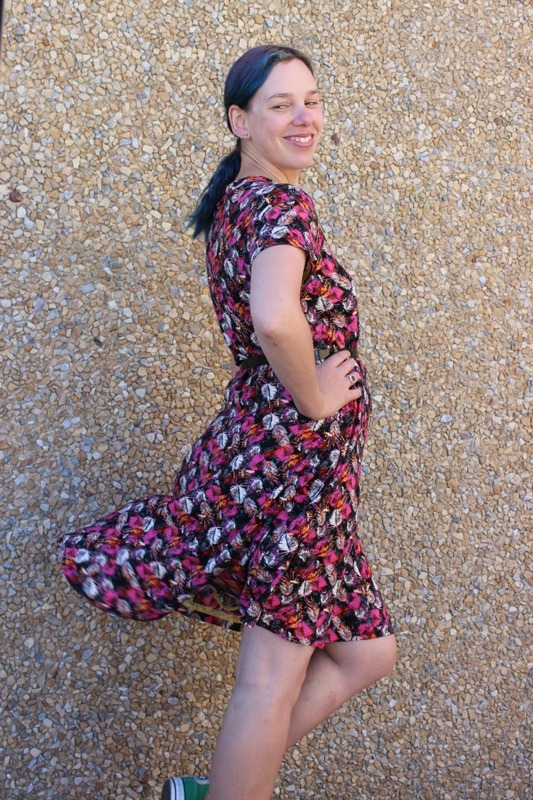 If you haven’t used Hug Snug before, it’s great – made of rayon (I spot a theme with this garment…) it’s very lightweight so it doesn’t add bulk to your seams. It presses well, and is nice and smooth to wear. Plus, it comes in all sorts of fun colours. 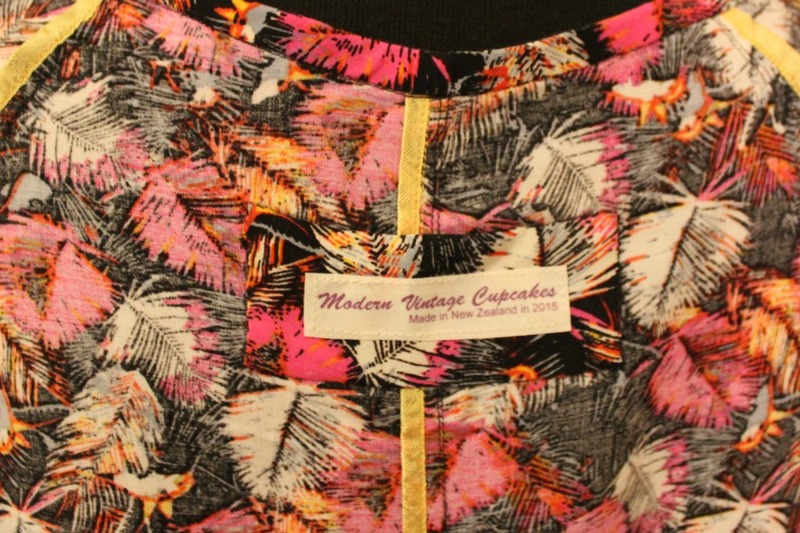 I may need to add some more to my collection so I can have pretty colourful insides on all my garments from now on…. The other great thing about it – it finished the edges of the lace insets really nicely. Since the lace has quite a large design, if I’d overlocked/serged it instead a lot of the thread would have had trouble catching onto anything in those gaps between the design. But the Hug Snug? A nice, neat finish. 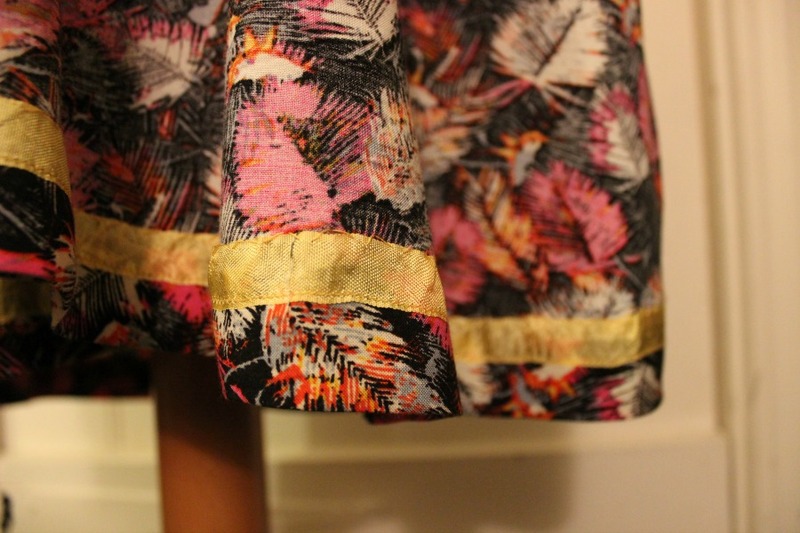 The only seam I didn’t bind was the centre front seam. Since part of it goes over the front lace inset, I didn’t want the yellow of the Hug Snug showing through to the front, so I just did a basic overlocked/serged finish on that seam in black to make it less conspicuous. Overall? Pattern – win. 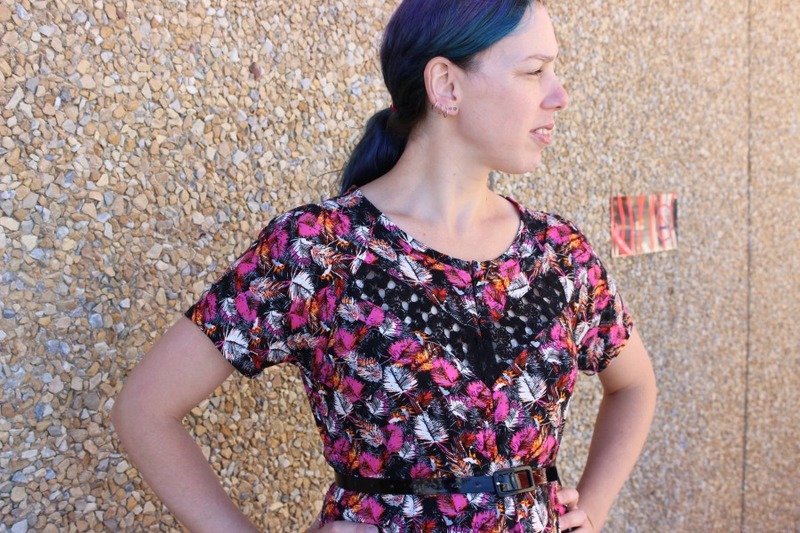 Using rayon for the first time – win. Pattern hacks – win. And bound seams – win. Yep, I think this one is gonna be getting a lot of wear!